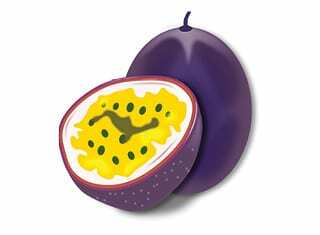 Thiols are recognised as character impact compounds with typical sensory attributes, such as “passionfruit”, “grapefruit”, “tomato leaf” and “gooseberry”, depending on the level at which they are present. In the field of science and technology, we are daily exposed to new ideas and new tools to make life easier, to increase throughput, and to answer fundamental questions or solve practical problems. Analytical chemistry is one of the main research areas used to gain more knowledge into the chemical composition of grapes and wine. As such, new instrumental developments present the opportunity to advance not only the field of analysis, but also of wine chemistry, through novel and exciting applications. One of these applications that has seen major developments locally, is the analysis of thiols in white wines. Since 2014, the researchers at the Department of Viticulture and Oenology (DVO), in collaboration with the Central Analytical Facility (CAF), could analyse two of the most important thiols, 3-mercaptohexanol (3MH) and 3-mercaptohexyl acetate (3MHA) (1). This has opened the possibility of a variety of projects and experiments related to the production, levels and evolution of these thiols in white wines. The shortcomings of that method were the long and tedious sample preparation procedure, the limited number of samples that could be analysed at the same time, and the fact that only two of the thiols could be measured. Recently, all these issues have been overcome using a new method, adapted from the literature. The method proposed by Herbst-Johnstone et al. in 2013 using ethyl propiolate as derivatisation reagent has the advantages that the thiols are modified in the initial steps of the sample preparation into compounds resistant against oxidation and thermally stable. This allows their determination by GC-MS (2). Given the state-of-the-art instrumentation available at the Mass Spectrometry Unit of CAF, we have pushed this one step further, by adding other relevant compounds to the list of analytes and by increasing the sensitivity of the method. 4-Mercapto-4-methylpentan-2-one (4MMP) and 2-furanmethanethiol (FMT) were added to the list of thiols that can be measured. Sensitivity, measured as limit of detection (LOD), is improved for all measured compounds compared to previous publication using GC-MS (2). LOD values are not always better than the odour threshold (OT) of the compounds, but the OT levels of the thiols span an almost 10-fold range (from 0.8 ng/ℓ to 60 ng/ℓ for 4MMP and 3MH, respectively). Since the presence and relevance of thiols has been already established for a number of years in Sauvignon blanc wines (3) and recently demonstrated in South African Chenin blanc wines (4), the proposed method was applied to determine thiol levels in young commercial South African wines from these two cultivars. The samples (n=20 for each cultivar) were chosen according to a high frequency of the typical descriptors associated with this class of impact compounds. All samples were analysed within two months after bottling (vintage 2016). All samples were obtained directly from the producers. We considered this application relevant, since it is important to know the initial level of thiols in wines. In time, thiols degrade as they are sensitive to oxidation. The results are presented in Table 1. Young Sauvignon blanc and Chenin blanc wines had similar levels of 3MH and 3MHA. 3MH was found at 178 – 904 ng/ℓ and 99 – 1 124 ng/ℓ and 3MHA at 23 – 151 ng/ℓ and 5 – 253 ng/ℓ in Sauvignon and Chenin blanc, respectively. 3MH and 3MHA levels in South African Sauvignon blanc wines were in general in line or lower than those reported for New Zealand Sauvignon blanc wines using the same method (2). 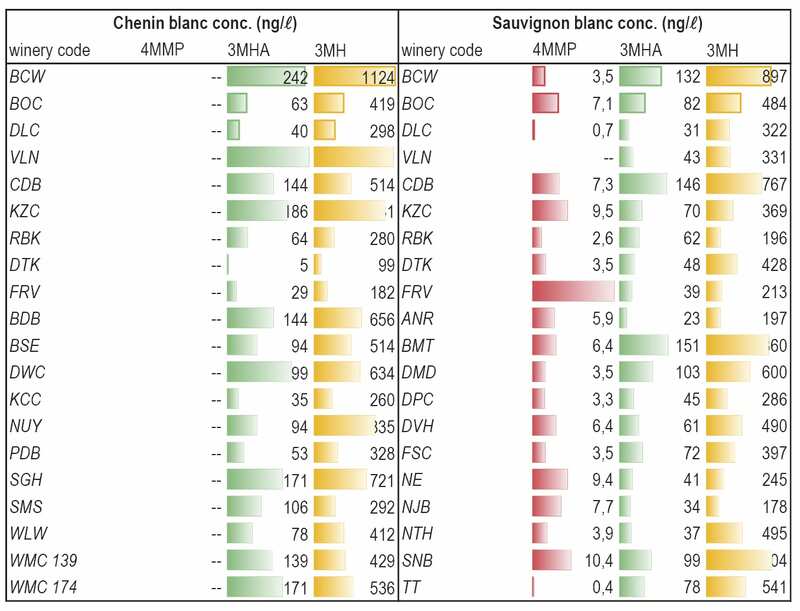 The main difference noted between the wines made from the two cultivars was in the presence of 4MMP in Sauvignon blanc (not detected – 21.9 ng/ℓ), while no 4MMP was found in any of the Chenin blanc samples analysed. 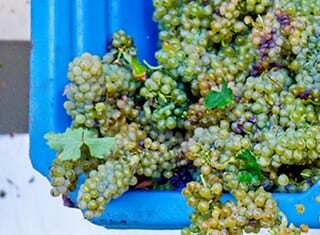 The previous method used for the analysis of South African Chenin blanc wines could not measure 4MMP (1), so even if the levels of 3MH and 3MHA in Chenin blanc were already known to be similar to those in Sauvignon blanc (4,5), the absence of 4MMP in Chenin blanc is a new finding. TABLE 1. Thiol levels (ng/ℓ) in young Chenin blanc and Sauvignon blanc. The proposed method was proven suitable for the analysis of thiols of interest in white wine. Using MS/MS detection improved LOD levels compared to the previously published ethyl propiolate GC-MS method. The use of commercially-available, non-deuterated internal standards was demonstrated to be acceptable. FMT was added to the list of thiols that can be measured using this method. Levels of 3MH and 3MHA in young South African Sauvignon blanc and Chenin blanc wines were found to be in the same range. On the other hand, 4MMP was found in Sauvignon blanc up to 21.9 ng/ℓ, but in none of the Chenin blanc samples. A larger sample set should be tested to confirm the absence of 4MMP in South African Chenin blanc wines. The next step is the method that allows the determination of thiols in red wines. We would like to announce that this method is already being tested – so look out for exciting developments in the field of thiols in the near future. The challenge in measuring thiols in wine comes from both their reactivity and the ultra-trace levels (ng/ℓ) at which they are present. 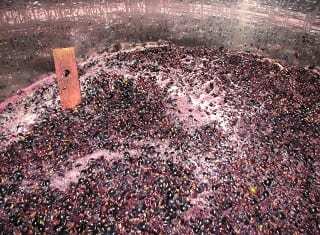 We report on a new, faster method that is now already in use at the Department of Viticulture and Oenology. The method performance has shown improvement in terms of sensitivity (limit of detection) and of the number of compounds measured. In addition to 3-mercaptohexanol (3MH) and 3-mercaptohexyl acetate (3MHA), the adapted method can also measure 4-mercapto-4-methylpentan-2-one (4MMP) and 2-furanmethanethiol (FMT). 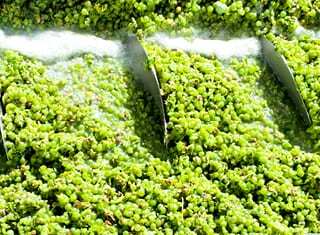 The first application of the method was to investigate the type and levels of thiols in very young Sauvignon blanc and Chenin blanc wines. 1. Piano, F. et al., 2015. Development of a novel liquid/liquid extraction and ultra-performance liquid chromatography tandem mass spectrometry method for the assessment of thiols in South African Sauvignon blanc wines. Australian Journal of Grape and Wine Research 21, 40 – 48. 2. Herbst-Johnstone, M., Piano, F., Duhamel, N., Barker, D. & Fedrizzi, B., 2013. Ethyl propiolate derivatisation for the analysis of varietal thiols in wine. Journal of Chromatography A 1312, 104 – 110. 3. Coetzee, C. & Du Toit, W.J., 2012. A comprehensive review on Sauvignon blanc aroma with a focus on certain positive volatile thiols. Food Research International 45, 287 – 298. 4. Wilson, C.L., 2016. Chemical evaluation and sensory relevence of thiols in South African Chenin blanc wines. MSc Thesis, Stellenbosch University. 5. Van Wyngaard, E., 2013. Volatiles playing an important role in South African Sauvignon blanc wines. MSc Thesis, Stellenbosch University.